Okay Gemma I found another mailbox that's attractive and interesting but nothing in these parts comes close to the unusual mailboxes you find in Australia. A lovely family owns the house in front of which this mailbox stands. So cute in white and gold! A lovely find! Thank you for sharing in Weekend Mailbox! Ooooh! How very classy! 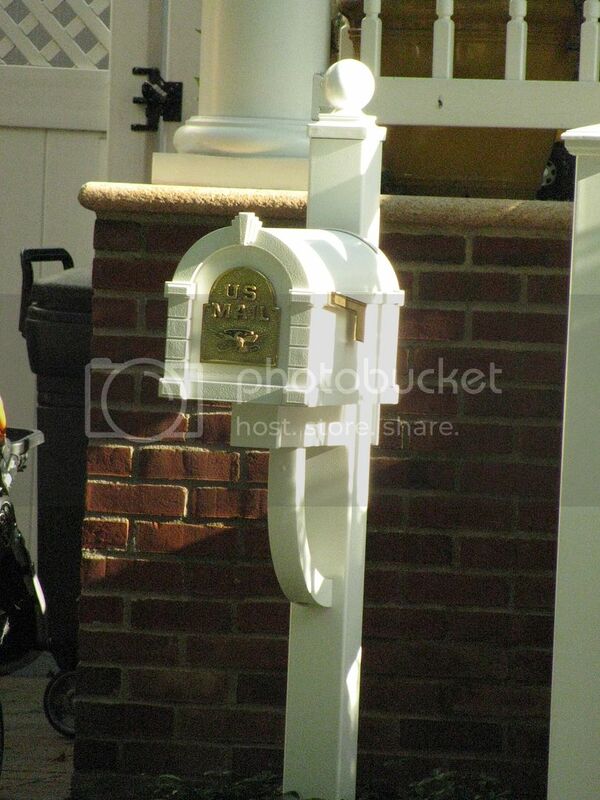 I really like this mailbox!! !